GetDivorcePapers.com provides professionally completed, 100% court-approval, money-back guaranteed Montana divorce forms. Just create an account, complete the interview, and file for divorce. 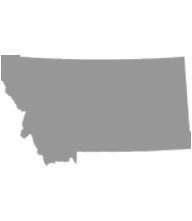 Our case managers do all the work for you, and send the completed Montana divorce forms when they are ready to be filed. At least one of the spouses must be a resident of Montana for at least 3 months or 90 days before they can petition for divorce. The divorce will be filed in the county where one of the spouses has been resident for said time period. Proper reason must be established when filing for Divorce. The state of Montana recognizes two major reasons for granting a divorce. These are namely the spouses living apart for a period of anything above 180 days and intense marital conflict that cannot be resolved. Age, health and preference of the child and wishes of the parents. Parent's relations with the child, their motivation towards fulfilling obligations and continuity of care of child. History of domestic and physical abuse against the child. History of or chances of substance abuse by either parent. Child's developmental, educational and social needs. Attachment and adjustment of child about parents, siblings, home and school. Age and health conditions, both physical and emotional conditions of both spouses. Contribution of each spouse as a homemaker and financially towards acquisition of asset. Occupation, vocational skills and employability of the spouses. Financial situation and sources of income of each spouse. Value of property of each spouse individually. Any Premarital agreement or pre-nup, and any prior marriages of the spouses. Any other factor deemed necessary. Age of the spouses, their mental, emotional and physical health. Already set standard of living. Time that will be taken for the spouse to become proficient in a vocational skill and to get a job. Financial sources and situation of both the spouse seeking maintenance and the spouse from whom the maintenance is being asked for. One or both parents may be ordered to pay child support for the children. Factors such as financial situation of the child, the age, health, education and developmental needs of the child, physical and emotional health of all involved parties, financial situation of the parents and standard of living child is foregoing are observed. Other factors include costs of any daycare or nanny facilities, needs of other people being supported by the parents and the parenting plan. If the spouses want to settle their differences, or if one spouse denies irreconcilable differences or minor children are involved, meditation is recommended. The court may refer the couple and children to a psychologist, psychiatrist, social worker, priest or other religious leader of couple's religious denominations, a physician or anyone deemed qualified to counsel the couple. There is no need of a lawyer when applying for divorce in the state of Montana. A divorce case which is filed without any help of an attorney in any of the states is known as Pro Se Divorce. Literally, Pro Se is a Latin phrase and it means "on her or his own". Process of getting the divorce without the help of lawyer may vary from one State to another. These types of divorces are perfectly legal and enforceable in Montana, and are actually very convenient. Usually, once settlements have been made regarding property distribution and custody matters among the spouses in case of a mutual divorce, Pro Se Divorces are filed.